Windows 8 and Windows 10 has a built-in feature that is supposed to make your cursor disappear while you are typing. This feature comes in handy when using a Windows 8 or Windows 10 laptop device because if you have the cursor active then it will jump all over the place if you accidentally touch it when you type something. By following the instructions posted below you can solve your Windows 8 cursor issues and also know how to properly use the cursor features. 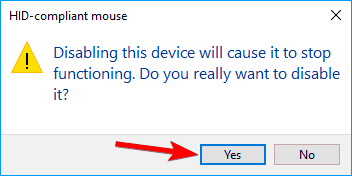 Pointer freezes Windows 10 – According to users, the common problem with your mouse is the pointer freezing. Users reported that their pointer freezes randomly on Windows 10. Cursor freezes every few seconds – Another problem with mouse cursor is frequent freezing. Due to this error, you won’t be able to perform even the basic tasks. Cursor freezes when typing – This is a variation of this problem, and many users reported that their cursor freezes when typing. This sounds like a strange bug, but you should be able to fix it with one of our solutions. Cursor freezes then disappears – Sometimes your cursor can freeze and then disappear. This can be a big problem, and it’s most likely caused by a problematic driver. Cursor won’t move – Another problem that can appear with your mouse is the inability to move your cursor. According to users, their cursor is stuck in place and completely unable to move. Cursor jumps around – One of the most common problems is the jumping cursor. This can be an annoying problem, but you should be able to fix it with one of our solutions. Cursor not showing – This is another problem that users reported on their PCs. According to them, their cursor disappears making them unable to use their mouse. Left click on the Desktop icon from the Windows 8, 10 start menu. Move the mouse cursor to the lower right corner of the screen. A menu should pop up and you need to left click on the Settings icon you have present there. Left click on the Control Panel feature. Left click on the Mouse icon. A window with Mouse Properties should open; you will need to left click on the Pointer options tab in the upper side of the window. You will have to uncheck the box next to Hide pointer while typing. Left click on the OK button in the lower side of the screen. Close every window you opened and reboot the Windows 8 or Windows 10 device. In the Control Panel window you will need to left click on the Find and fix problems. Note: The Find and fix problems feature can be found on the System and Security section. A Troubleshooting window will show, from the right side of the window left click on the Hardware and Sound option. Now in the Device category left click on Next button for the Hardware and Devices. 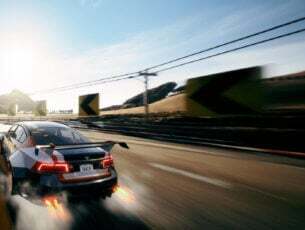 A scan will begin and after it is finished you will need to left click on Apply this fix. Close the windows you have open. Reboot the Windows 8 or Windows 10 device and see if you still have this issue. Open Control Panel and navigate to Mouse section. 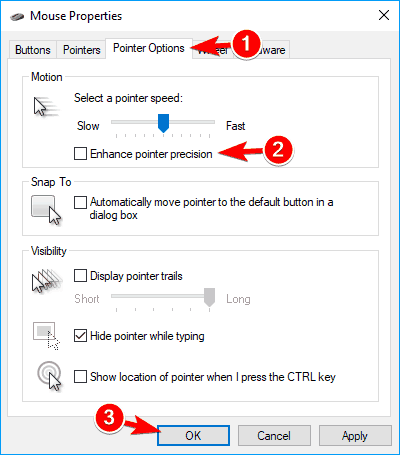 Navigate to the Pointer Options tab and disable Enhance pointer precision feature. Now click on Apply and OK to save changes. 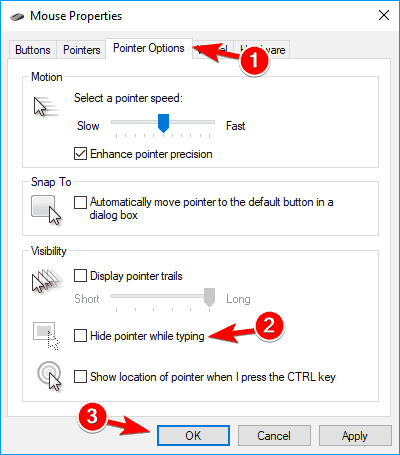 After turning off this feature, problems with your cursor should disappear. Press Windows Key + X to open Win + X menu and choose Device Manager from the menu. 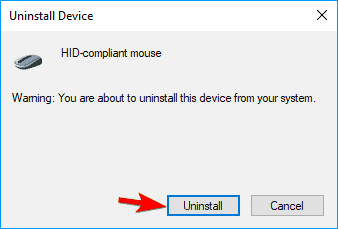 Locate your mouse, right click it and choose Uninstall device. When the confirmation message appears, click on Uninstall. After doing that, your mouse will be disabled. Using the keyboard keys you can navigate to Action > Scan for hardware changes. If you can’t open this menu with your keyboard, simply restart your PC. After doing that, your mouse will be detected and you should be able to use it again without any problems. Navigate to Mouse section in Control Panel. Go to HP Control Zone tab and disable HP Control Zone. Click on Apply and OK.
After disabling this feature, your mouse problems should be resolved. 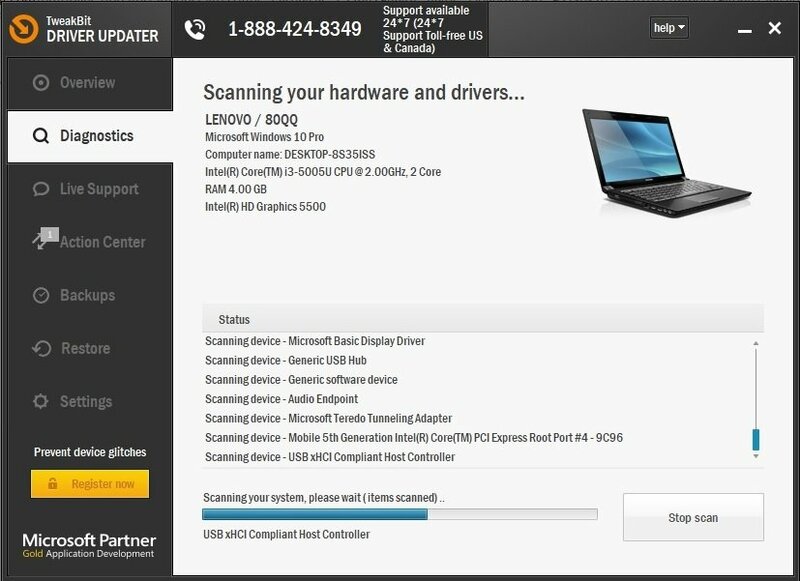 Keep in mind that HP Control Zone might not be available on your PC, unless it’s an HP device. Sometimes third-party applications can cause issues with your mouse. Many users reported that their cursor freezes, jumps or disappears due to AdAware. This is a solid anti-spyware application, but sometimes it can cause various issues to appear. Users reported that uninstalling AdAware fixed the issue for them, so feel free to try that. If you want to continue using this app, be sure to update it to the latest version and check if that solves the issue. Open Device Manager and navigate to Mice and other pointing devices section. If you see multiple entries in this section, you’ll need to disable all devices that you’re not using. To do that, simply right click the device you want to disable and choose Disable device from the menu. Confirmation window will now appear. Click on Yes to proceed. After removing additional devices, the problem should be completely resolved. Open Device Manager and locate the problematic device. Double click the device to open its properties. When Properties window opens, go to the Driver tab and click on Roll Back Driver button. 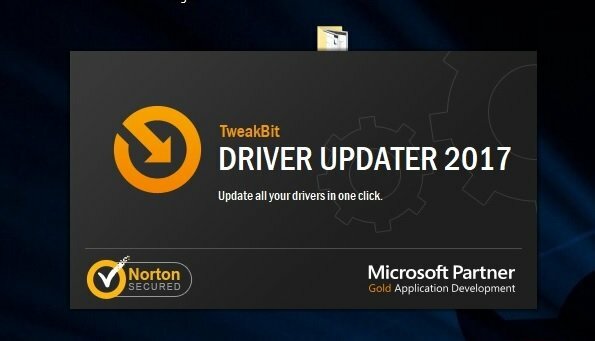 After rolling back to the older driver, check if the problem is resolved. 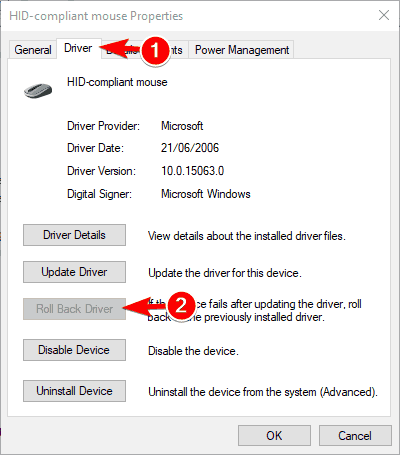 If Roll Back Driver option isn’t available, you might have to reinstall the driver by following the steps from Solution 4. It’s worth mentioning that Windows can sometimes automatically update your drivers and cause this issue to reappear. To prevent that, be sure to check our article on how to prevent Windows from automatically updating specific drivers. 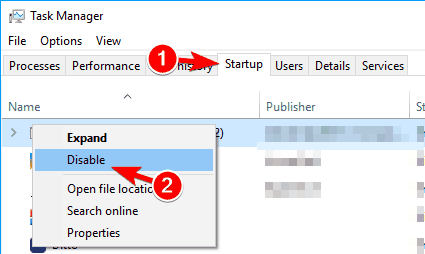 When Task Manager opens, go to the Startup tab. Locate Realtek HD Audio Manager, right click it and choose Disable. 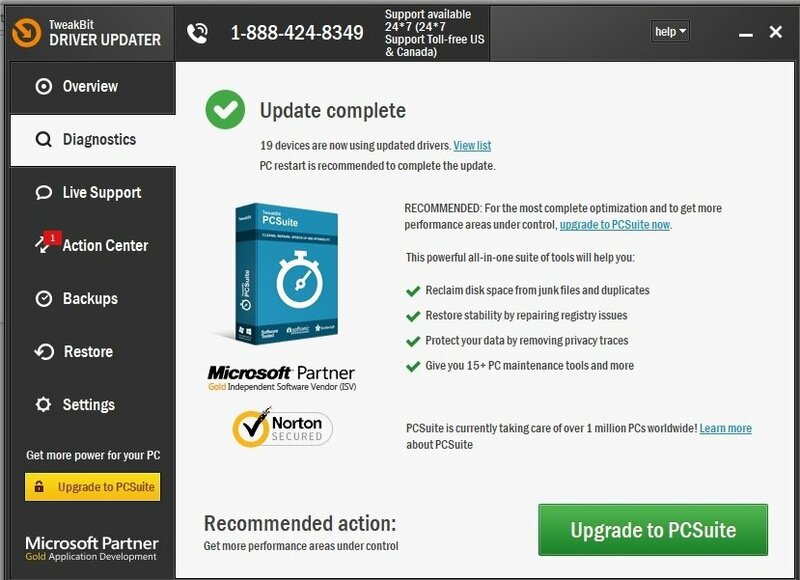 After doing that, restart your PC and check if the issue reappears. If you can’t find Realtek HD Audio Manager on the list, you can fix the problem by going to C:Program FilesRealtekAudioHDA and renaming FMAPP.exe. After doing that, the application won’t start automatically with your PC anymore. Go to Control Panel > Mouse. Navigate to the last tab on the right and make sure that the device is enabled. After doing that, your mouse will reappear and everything will start working again. Keep in mind that you might have to perform these steps using your keyboard. 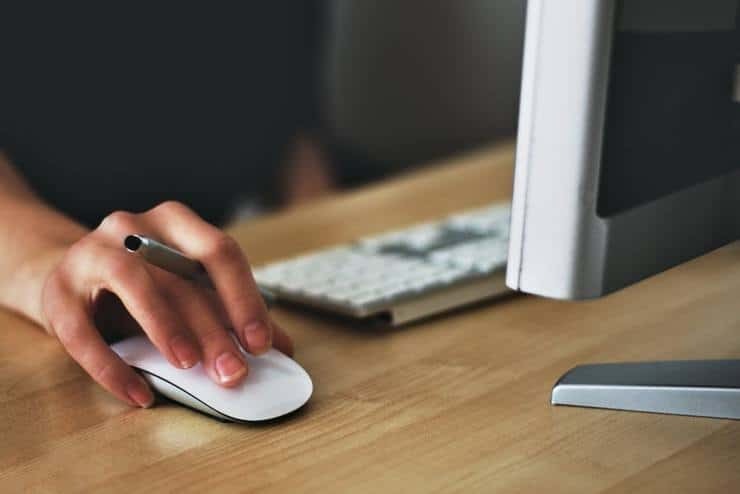 Let us know in the comment section if these solutions were helpful in fixing various mouse cursor problems. We are continuously searching for other solutions and if we’ll find any, we will make sure to update the article with the relevant ones. So if you follow the instructions posted above carefully you should fix any issues regarding your cursor in Windows 8 or Windows 10 and carry on with your work. Also don’t hesitate to write us if you have any other questions on this article.